Welcome to another DOAML post! I know that I haven't done these in a while due to many reasons but I thought that I would do a review post today because well why not? As you all know, whenever I end up in Leeds, I end up in Lush and as I am in Leeds every other week for either some shopping or an event I thought that I would try some new things from Lush. I have got these all in sample form just because they are all somewhat skin/body care and I was feel a bit iffy buying something that I never have tried before especially when the body/skin care products are sometimes over £10 and I don't want to waste money on something that I don't like, I also thought that it would be best to tell you guys what I thought of the products just in case you want to buy them/you've heard about them before and you've been indecisive just like myself. The first product that I am going to talk about is Ocean Salt. This product is a Face and Body Scrub and comes in many versions. There is self preserving, normal, alcohol free and self preserving and alcohol free. This salt scrub contains sea salt (duh), vodka steeped limes, avocado butter, coconut oil and much more! The directions suggest using it on dry skin but I feel like its best to use it on damp skin just as it does contain vodka, lime and salt and applying this to dry skin might make it a slight hue of red...The scent of this is quite amazing. You don't get much of the vodka within the scent but you do get a good mixture of citrus and salt and just smelling it wakes you up so you don't feel like a zombie for the rest of the day. 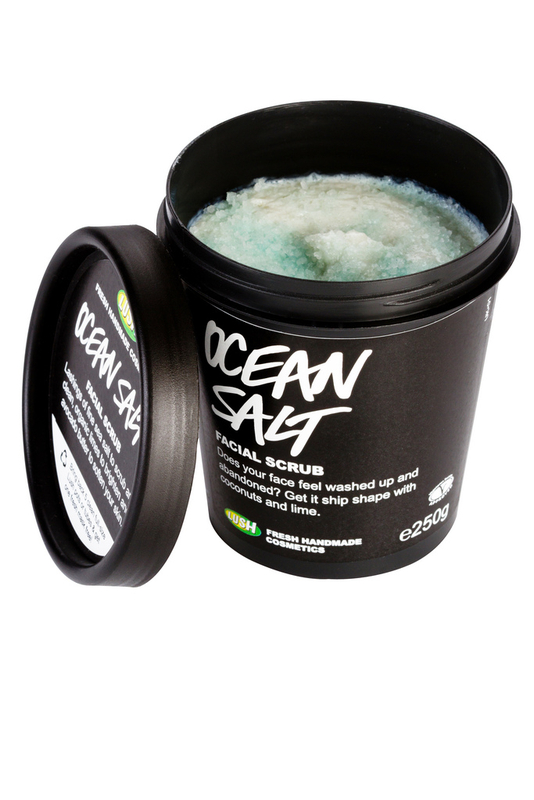 It is quite a scrubby scrub due to the salt so if your skin is extra sensitive then it might not be the best product for you but it works a treat on my skin. I give this an 8/10. There's nothing much you can change but I think that it could be tweaked maybe via adding a bit more citrus than salt but otherwise its a great product to use to get rid of dead skin. 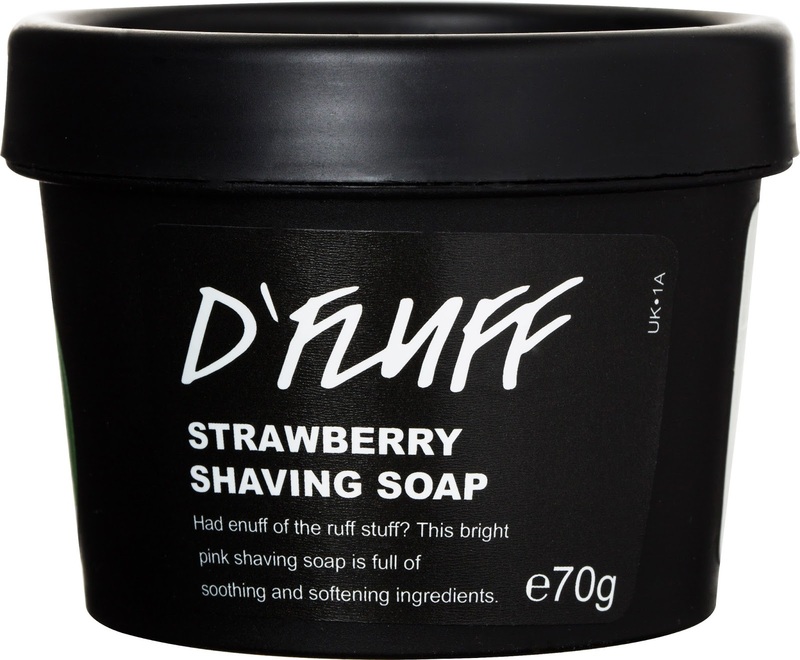 Carrying on with the face care products, the next product that I want to talk about is D'Fluff. This is a Strawberry Shaving Soap but it can also be used as a body wash apparently... The product contains Strawberries, Rapeseed, Coconut and Rose Hip Oil, Egg Whites, Golden Syrup and many other things. This is quite a mousse like product due to the egg whites but spreads quite easily which is the best thing when it comes to shaving products as sometimes they're a bit too thick and you have to use loads just to cover where you're shaving. The scent is quite similar to Yummy Mummy/the Strawberry Feels Forever massage bar in the fact that it is a deep strawberry scent with a floral back note. It's quite nourishing and is amazing for a shaving product. 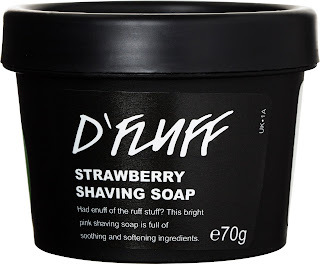 If they did a range of D'Fluff in more scents than just strawberry then it would be amazing but the Strawberry scent is pretty good as it is. 8.75/10. The last product that I am going to talk about is Karma Kream. 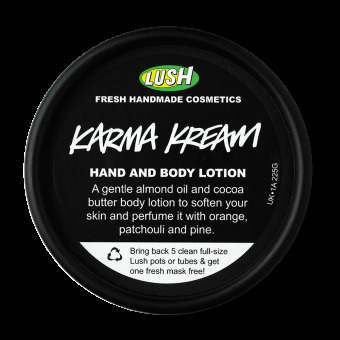 As you can tell by the name, it is a body cream/lotion that has the well known Karma scent embedded into it. It contains Almond Oil and Cocoa Butter which makes the skin extra supple when you apply it to the skin. The Karma scent is made up of Orange, Pine, Patchouli and a slight hint of Lemongrass. You can smell the Patchouli and Orange and when it blends onto your skin it creates such a lovely yet deep scent which makes you sniff at it all day long. I applied it this morning about 10 and it is now half 8 at night and I can still smell it on the skin. I give this a good 9/10, The only main problem for me is the price but it will last a long time so I think I'll warm to the price of it over time. Have you tried any of these products? Let me know in the comments section down below! I hope that you have enjoyed this DOAML post! I haven't done any DOAML posts in a while so I thought that I would do a bulk load of them just to catch up with things. 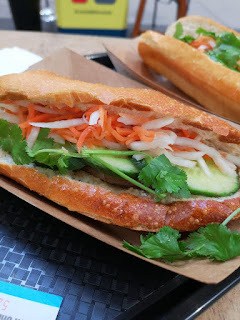 I hope that you come back next time for another blog post! Thanks to Lush PR for sending me the pictures over for this post. I mixed up Karma Kream for Grease Lightning when sending the email so I got that one from the website.